I'm so excited to playing along with the July Essentials by Ellen Pin-Sights Challenge! Have you played along with this challenge yet? It's super easy. 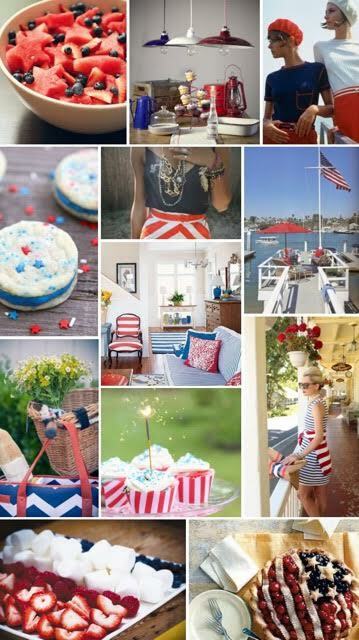 Basically, just create a piece based upon the Pinterest inspired piece. 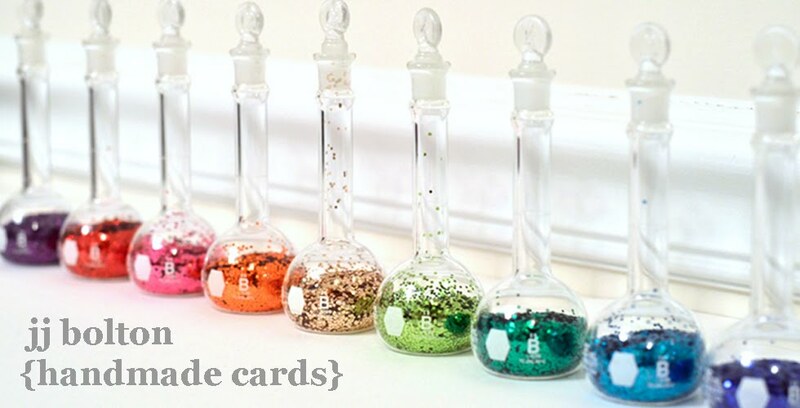 For details and to link up your challenge card, go to the CLASSroom:) Let's take a look at the inspiration, shall we? I was so inspired by the pic that I made two cards:) The first uses the Wild Garden dies that have been colored with blended ink. I really love how blended ink has so much more depth than colored cardstock. The background is striped paper (Avery Elle) covered with a vellum panel. Love the contrast of the red, white, and blue:) BTW, the sentiment is from the Fancy Thanks set. My next card was inspired by that little image of a golden sparkler in the inspiration piece! 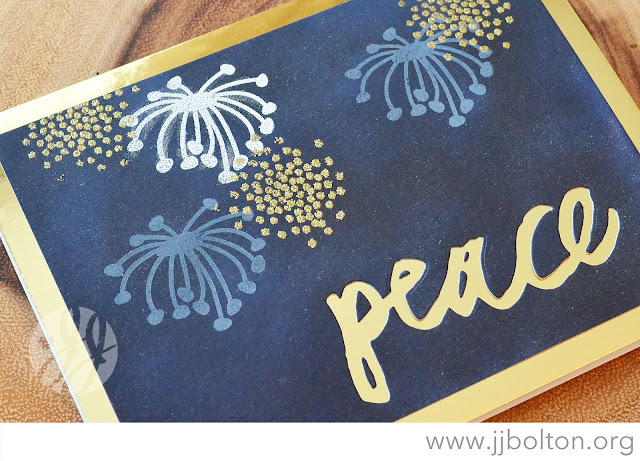 I used some stamps from the Bohemian Garden and Bokeh Dots sets to make a modern-ish fireworks card. 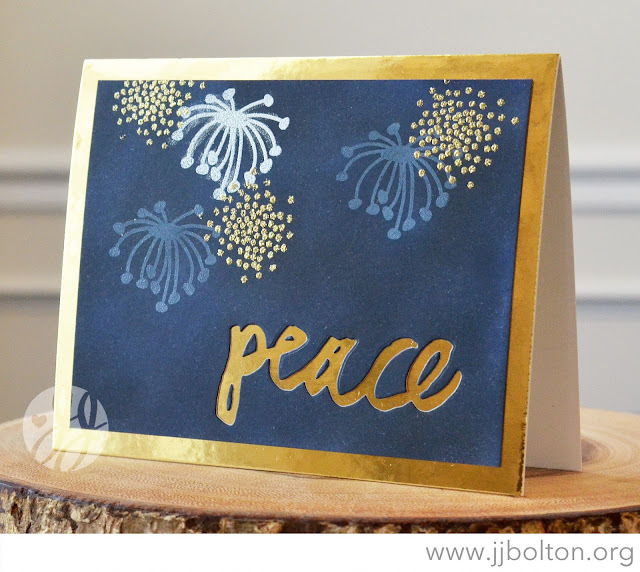 The sentiment is the awesome Brushstroke Peace die. Just like my first card, I used blended ink to create the deep blue color. The "fireworks" were stamped and heat embossed in gold, white, and clear. That's it for me today! Don't forget to link up your card here for a chance to win a $50 GC! You have until July 31st to link up:) I hope that you're feeling inspired to play along! Loving how you softened the stripes on the first one and such a clever way to use the stamps on the second one! Really gorgeous cards, JJ! 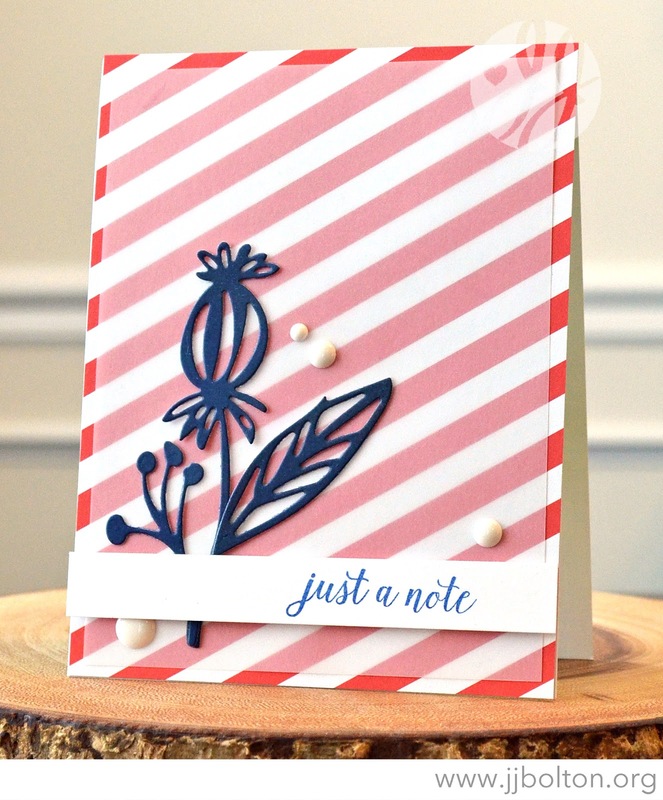 I love how you placed the vellum over the diagonal red stripes, and how you blended your inks on the 2nd card...so pretty!